Sharon earned a Bachelor of Science degree from Acadia University and with that in hand she moved to Ottawa in 1980 and worked with the oil and gas industry for 20+ years. During those years she held various positions including roles in marketing and communications. 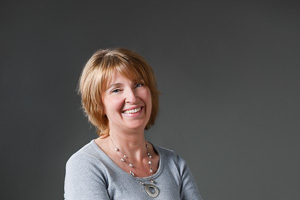 Sharon joined Christopher Simmonds Architect in 2009 as the firm’s Office Manager and Executive Assistant. Her position spans many roles in the office –including administration, financial, communications and marketing. An avid gardener and animal lover, and being an empty-nester, Sharon is now devoting even more of her free time with her golden retriever and her flowers.